This one is actually damn good. And scary too! A teen horror melodrama that delivers on multiple levels. Roll on chapter two. 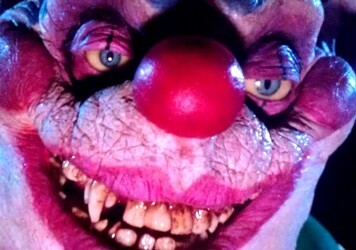 Stephen King’s iconic demonic clown gets a refresh and refit – and manages to give Tim Curry a run for his money. It’s hard to think of a more crushing and complex passage in a person’s emotional upbringing than when the prospect of death becomes grim reality. 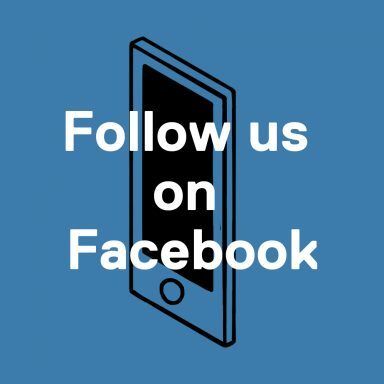 The acceptance of life as finite and experience as fleeting can really take a chunk out of you – it’s just damn lucky we’ve got friends with whom to share that awesome burden. 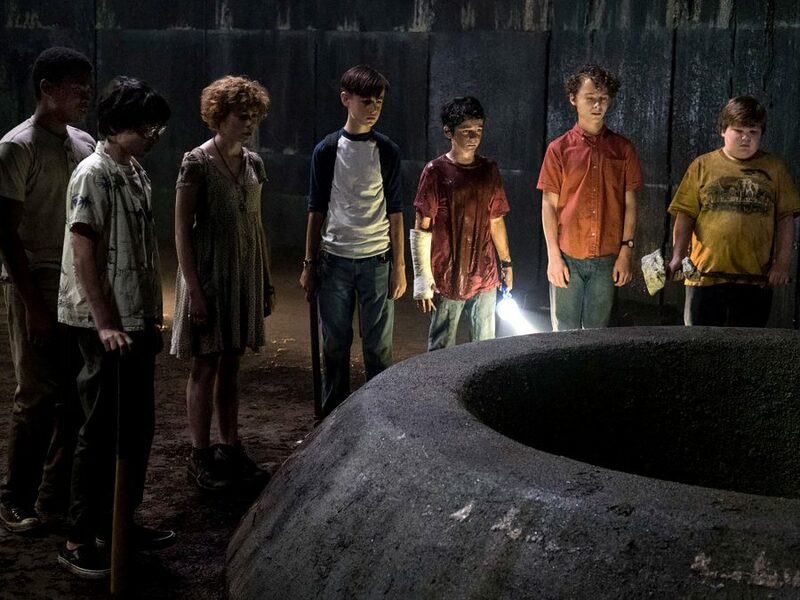 Andy Muschietti’s IT – satisfyingly abridged from Stephen King’s 1986 doorstop – adopts the cinematic staple of focusing on a gang of lairy high school oiks who are only able to transcend their earthly fears by banding together. Only with arms locked and eyes focused on a single point are they able to overcome their common foe. Yes, it sounds like a superhero movie. And yes, it sounds like TV nostalgia hit, Stranger Things. But this is far weirder and nastier than either of those. In this case, death wears a ruffled collar and takes the form of a cackling, demonic clown named Pennywise (nicely played on the right side of camp by Bill Skarsgård). This grimacing spectre employs rib-tickling banter and a shiny red balloon to lure his prey. He then slays them in stomach-churning and visceral fashion. When a major studio tries its hand at a horror movie as a way to “ginger up” the slate, the results are usually bad, very bad or very, very bad. These works are like cheap cinematic fireworks, designed to burn brightly for an instant and fritter away in a plume of colourful ashes (the home ents circuit). 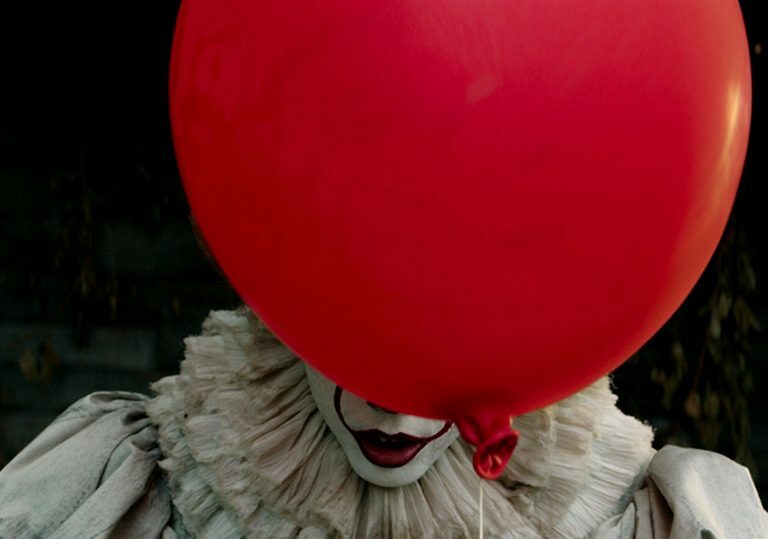 IT is remarkable for a number of reasons: it operates as a convincing and compelling pre-teen adventure movie; it takes its time to flesh out characters, never resorting to ciphers or obvious victims; it is powered by a subtle and unnerving sense of investment in this fantastical tale; and it’s not just scary – it’s disturbing too. Jaeden Lieberher’s Bill Denbrough is de facto leader of the depressive wreckin’ crew being terrorised by the killer clown. He is a lanky, side-parted young actor previously seen in kamikaze kiddie flick, The Book of Henry. He’s the weakest link of an ensemble filled out by tomboy Beverly (Sophia Lillis, extraordinary in channeling a young Jodie Foster), sweary geek Richie (Finn Wolfhard), gibbering hypochondriac Eddie (Jack Dylan Grazer) and weed Stanley (Wyatt Oleff) who’s learning Hebrew for his Bar Mitzvah. Where Bill has the task of relocating his long lost brother who was snatched one day in plain sight, all the kids have their own sideline traumas to deal with. These range from swaddling parents (Eddie) and religious torment (Stanley) to ritualised abuse (Beverly), though Muschietti refuses to frame Pennywise as the simple physical representation of these extreme growing pains. The line is blurred and the film takes on a level of cool ambiguity. This is Muschietti’s follow-up to 2013’s forgettable gothic runaround, Mama, and it’s a major leap for the director in terms of coherence, artistry, and delivering a film which subtly exceeds the limitations of its genre. The story takes place in Derry, Maine, during the height of the New Kids on the Block craze and oversized medical-issue spectacles. It lovingly leaches from the dusty and distressed “Spielburbia” while never leaning too hard on the carefully selected cultural bric-a-brac that sits in the backdrop. It’s a recent past which feels relevant, but also allows it to tap into work by genre maestros such as Joe Dante and Guillermo del Toro. Yet the simple reason why this film works is that, even though it runs at over two hours, precious little of that time is given over to lumbering exposition or unnecessary back story. Pennywise is never explained, and the kids lives are fleshed out in rudimentary but highly effective ways – through interactions and character tics rather disconnected plot filler. The film doesn’t stretch too hard for political relevance, but through the scant details given of Derry’s eventful past, room is allowed for speculation. As a story, it doesn’t go to any place that you would deem too radical. It carefully tees up the kids vs clown scenario, and plays spooky variations on their intermittent clashes. And by not stating with any volume what It is about, the film works beautifully as a straight-arrow genre piece, and a portrait of young people taking command of their own destiny. It feels like a film about the importance of looking not to the present, but to the future for true salvation – which nicely chimes with King’s vocal hatred of an American commander in chief, a man who seems violently obsessed with the short game. Maybe Trump is our Pennywise? 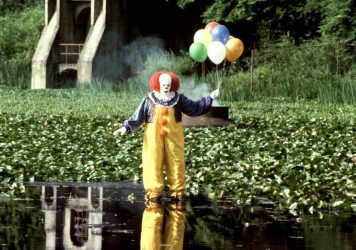 Stephen King’s story and Tim Curry as Pennywise the Dancing Clown are a truly frightening combination. These funny-faced pranksters continue to inspire a special blend of amusement and unease – and movies are partly to blame. 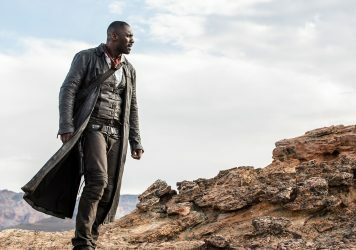 Idris Elba plays a cosmic gunslinger in this tame adaptation of Stephen King’s fantasy saga.